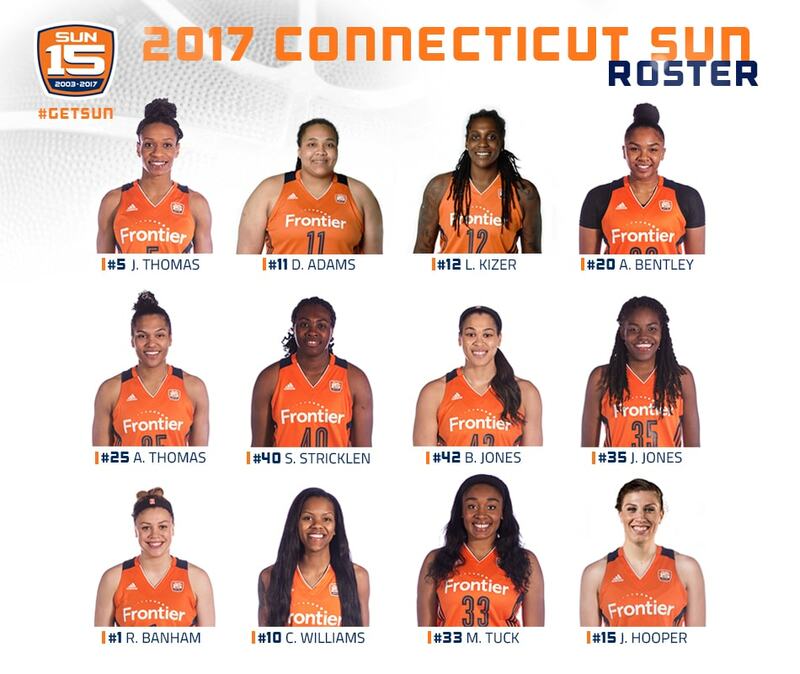 UNCASVILLE, Conn. (May 12, 2017) – The Connecticut Sun finalized its roster today as it prepares to open its 15th season at Mohegan Sun Arena, hosting the Atlanta Dream tomorrow night at 7 p.m. Eight members of the 2016 team made the final roster, including Rachel Banham, Alex Bentley, Jonquel Jones, Shekinna Stricklen, Alyssa Thomas, Jasmine Thomas, Morgan Tuck and Courtney Williams. Bentley led the Sun in scoring (12.9 ppg.) while Jasmine Thomas led the Sun in assists (172) and was third in scoring (11.7 ppg.). Newcomers include rookie forward Brionna Jones and veterans Lynetta Kizer, Danielle Adams and Jordan Hooper. The final Sun cuts Friday were Kelly Faris, Jessica January and Adaora Elonu. MyPillow will help the Connecticut Sun tip off its 15th season against the Atlanta Dream on May 13th at 7 p.m., serving as the presenting partner on opening night at Mohegan Sun Arena. Every fan who attends the game against Atlanta will receive a commemorative opening night t-shirt, courtesy of MyPillow. Season tickets are on sale now and can be purchased by contacting a sales representative at 877-SUN-TIXX or tickets@connecticutsun.com or by clicking HERE. No. Player Pos Ht DOB College WNBA Exp.